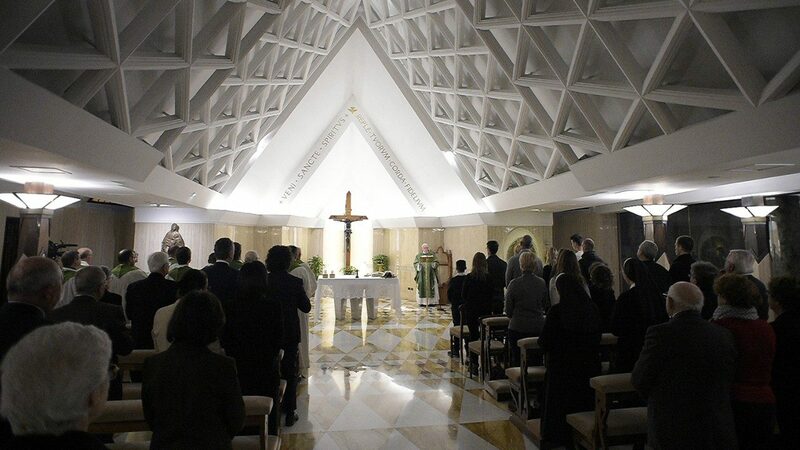 According to Vatican News, during his Mass at his residence Casa Santa Marta, Pope Francis reflected on these three traits that are born from Easter joy. The Holy Father warned that this, as seen to some, ‘bothersome’ witness to the Lord Jesus, often leads to Christian persecutions. Recalling that the fifty days of Easter before Pentecost were a “time of joy” for the Apostles because of Christ’s Resurrection, the Jesuit Pope noted that while it was a true joy, it also contained doubt and fear. Only after Pentecost and the descent of the Holy Spirit, Pope Francis said the Apostles’ joy became courageous, since they now understood the meaning of the Paschal mystery. Witness, the Pope continued, is the Apostles’ second characteristic, noting their witness annoyed their contemporaries just as Christian witness does today for some.